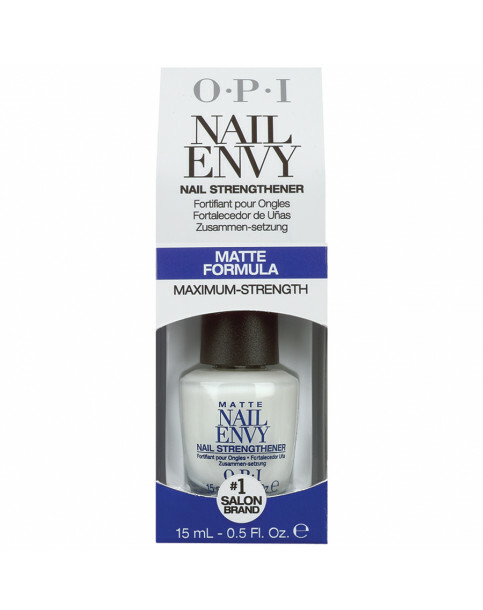 OPI's top-selling hero product for weak or damaged nails...Matte version. Nail Envy Matte Formula is rated 5.0 out of 5 by 2. Rated 5 out of 5 by karen 57 from as always This is one product i wouldn't be without. It keeps my nails long and in very good condition. With the matt its easy to put a nail colour on the top, also if you cannot wear a colour for any reason, the matt just blends in leaving no shine. Rated 5 out of 5 by sal76 from Fantastic product I’ve been using nail envy Matt formula for several years, it’s great as a base coat or just on its own gives a slight healthy sheen to bare nails, I hate to be without it.